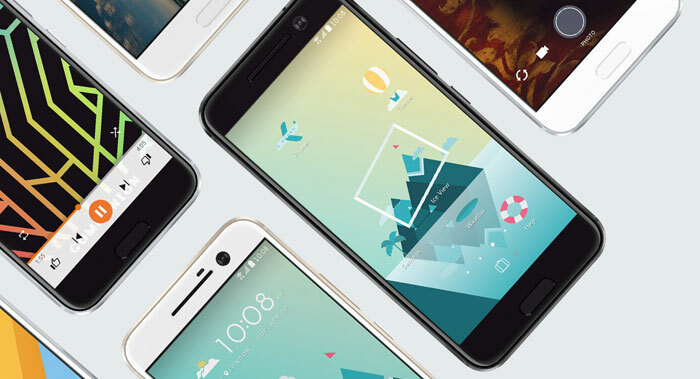 HTC has launched its highly anticipated HTC 10 smartphone. This is the Taiwanese firm's new flagship device and HTC has concentrated its design efforts to provide exceptional device construction, cameras and audio experiences. HTC has been plagued by leaks of pictures and specifications since early March and earlier this week I noticed several videos revealing all. However, with the launch due today, I thought it was worth waiting for confirmation of the official finalised specs, pricing and availability. Starting on the outside, the first difference you see with the new HTC 10 is the chamfered edge all around the back of this dual-textured phone. It is a pleasing design and provides a "constantly changing reflection of colour and contrast," as the smartphone moves in the light. It's good for customers to be able to quickly recognise a newer generation device thanks to a change in styling. 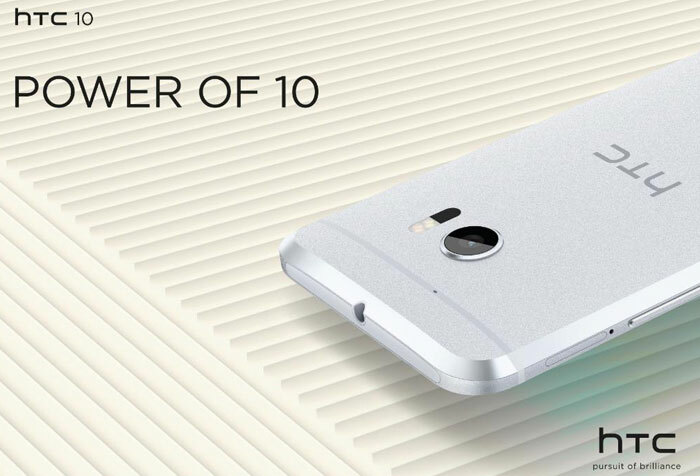 As mentioned in the intro, the HTC 10 is constructed in an aluminium unibody. Cameras are very important for smartphone users and will often play a large part in someone's buying decision. HTC has grabbed a world's first by equipping both front and back cameras with OIS which helps keep your picture quality up - even with a shaky grip or in low light. On the topic of low light photos, the main camera in the HTC 10 provides up to 136 per cent more light thanks to the use of a new UltraPixel sensor (12MP) with OIS and a bright ƒ/1.8 lens. Laser focus helps you quickly snap those important moments. The HTC 10 main camera scores 88 in the DxOMark benchmark tests. Meanwhile, the wide angle selfie camera also packs OIS, an f/1.8 lens and screen flash. Audio is traditional strength of HTC. Now it offers the world’s first stereo 24-bit Hi-Res audio recording DAC in a smartphone. HTC says that's great for capturing much more audio detail in your 4K videos, for example, or for re-living rock concerts you've visited. With the new design some thought BoomSound was taking a back seat, however HTC claims to have improved it. "The new HTC BoomSound Hi-Fi edition speakers feature the same separated tweeter and woofer design as leading acoustic systems, with a dedicated amplifier for each speaker to deliver audio quality unprecedented from a smartphone," says the official HTC blurb. Other important specifications HTC touts in its latest flagship smartphone include; a Qualcomm Snapdragon 820 processor, a 5.2-inch 2560 x 1440 screen with 50 per cent more responsive touch, 4GB of RAM and 32GB or 64GB of storage, microSD support up to 2TB, USB 3.1 Gen 1 Type-C, a 3.5mm audio jack, a finger print reader, capacitive keys, enhanced 4G LTE support (nanoSIM), NFC, DisplayPort, Bluetooth, up to 2 days battery life (3000mAh), QuickCharge 3.0, and sensors such as GPS/Glonass, Ambient light, proximity, motion, compass, magnetism, and Gyro. In software terms there's Android 6.0, the new HTC Freestyle icon layouts, HTC Themes, Motion Launch, Sensor hub, and a Boost+ utility to control your phone and apps. Carphone Warehouse has written to HEXUS confirming it will stock the HTC 10 and will open up pre-orders from 13th April. Prices and tariffs will be revealed at that time. HTC's own site is offering unlocked and unbranded device pre-orders right now at £569 ($699) in your choice of dark grey, silver or gold. Shipping is expected to start in early May. I thought they had bagged the next couple of Nexus releases? They still need to sell though. True, I suppose competition is such that even a Nexus badge won't guarantee sales these days. Sure it would be the world's first, because DAC (digital-analog converter) is used to generate analog (audio) signal, not to record it. ADC (analog-digital converter) is the one responsible for sampling, quantization and coding the analog signal, though not for the whole recording process - that requires some input-sound source, like a microphone.